My sister made this out of this world cake this Sunday… Seriously surprisingly good!! 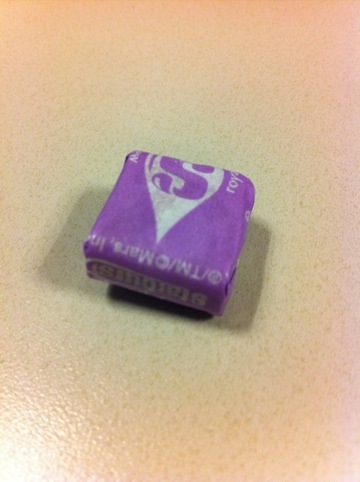 Don’t get me wrong, it looks beautiful, and decadent BUT once you take a bit you are in for a surprise! It is light, not heavy at all even though it appears to be quite filling. 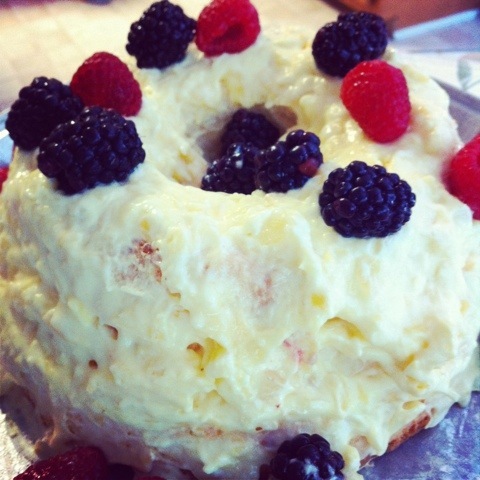 It is an angel cake with a pineapple pudding, raspberries and blackberries. She made the pudding with crushed pineapples and vanilla pudding mix then layered it on the cake. I heard from my former boss this morning with a “Hoppy Easter” text and it was perfect timing because I was just deciding on a title for this entry. Hoppy Easter, Stan! 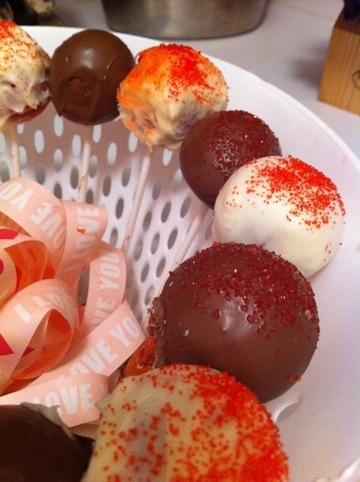 I have been having so much fun creating new desserts and creations with my cake pop maker. 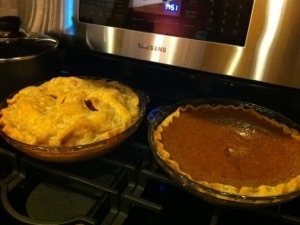 It is always a huge project and leaves my kitchen in a huge mess, but I’m still convinced it is always worth it. 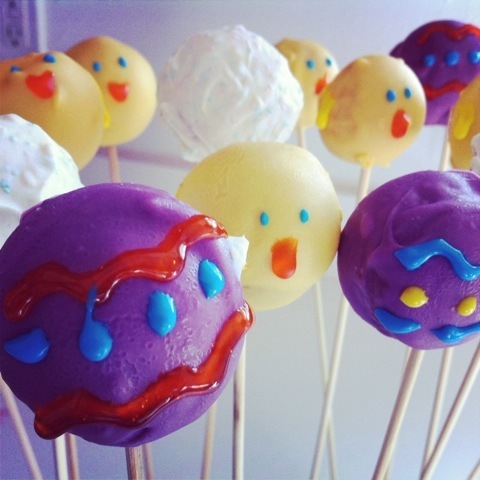 I made Easter cake pops with little chicks and Easter eggs to bring to my mom and Daves for Easter Sunday. 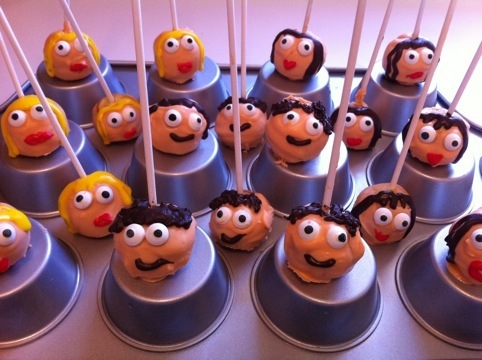 I will admit I could still use some practice, especially because some of the chicks look like they are crying, but they sure taste good and who doesn’t enjoy a mini piece of cake? When Baked in a Cup first opened, I was working across the street in downtown Ramsey and knew that I was going to be in trouble. Before Baked in a Cup existed, my sweets cravings were typically ignored since I would either have to make something myself, or, actually drive a good distance to get to a decent bakery. But now, with home made cupcake creations within walking distance, these cravings would not only be satisfied, I was afraid that they would leave me wanting more! First of all the bakery itself is very inviting and I love what they did with the space. I am not so much the sweets person as my husband is, so I am always looking for a new place to pick up a red velvet cupcake for him, his favorite. 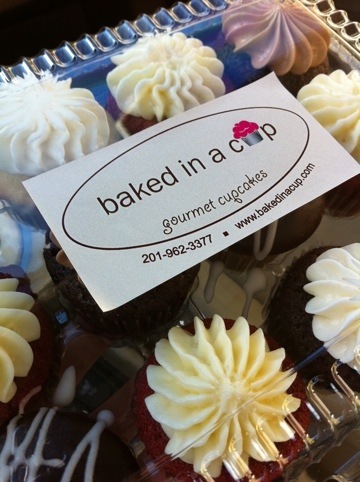 Now that’s not to say that I never get anything for myself when I go out to get these red velvet cupcakes, let’s just say I can find something the both of us will enjoy at Baked in a Cup. My absolute favorite thing about Baked in a Cup, and what I feel truly sets it apart from the booming cupcake competition, is that a lot of their cupcakes have surprise fillings and man are they delicious! Their peanut butter filling is off the charts and seriously had me thinking about it for days! 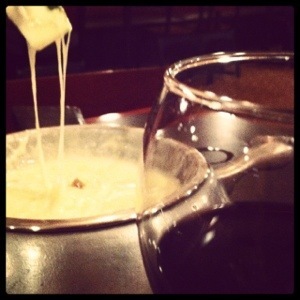 If you check out their menu, you will notice they have different signature flavors on different days. This guarantees the freshest baked cupcakes to keep you coming back for more. The picture above is actually a little sampler that I picked up recently to drop of to Danny at work. 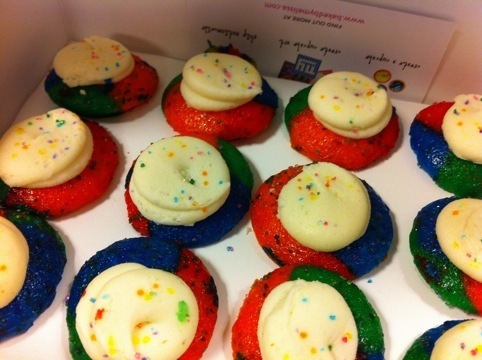 It has a nice mixture of flavors in mini cupcakes which is perfect for so many occassions! Although I no longer work or live within walking distance, I am still sure to frequently drop in to try out the latest flavor 🙂 Enjoy! 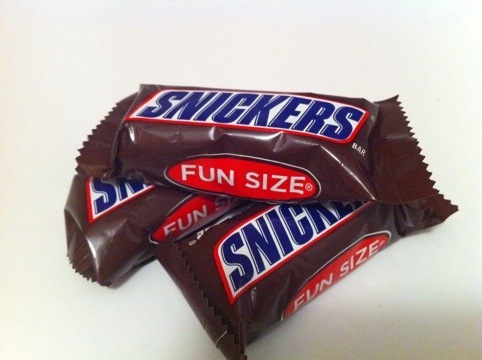 What is fun about “fun sized” candy?